The 1970s were phenomenal for Ardbeg. The quality of the whisky from those wondrous years simple cannot be overstated. And unlike neighbours up the road, Ardbeg’s 70s distillate is still widely available, though for a price. Nose: Fantastic and so very classic. The exquisite depth of these earthy oils matched with salt and sugared lemons. An old phenolic peat that is at once subtly layered and yet immense. A crystalline coastal tang that radiates. Imagine all that and also weave in also cigar ash, wintergreen, salty woolies, dried seaweed on rubber boots. A perfect style of Ardbeg. Palate: A tsunami of salt and crackling hot minerals, searing tin, wintergreen, hot ash and glowing peat. White smoke, salt spray, sugared lemon slices, molten tar, black earth, boiling black ink and the churning Atlantic. Yet its immensity belies its approachability. First class Ardbeg. Finish: Long and oily with salt and earth, thin ash and wafting smoke. Loads of buzzing phenols and lots more of the coast still in this. Lemony tang. Nose: It’s nitric acid into which vats of old Ardbeg has been dissolved. A thick, oily fist of raw potency curled up in the glass. Like some of the Rare Malts or ultra high strength SMWS bottles, the nose doesn’t give much away and you are left with the olfactory summation of pent up oceans and vast peatbogs on fire, though the phenols coming through are already dripping with oily earth, caked grime and the soot of a whole chimney. Echoes of tobacco and salt cured lemon rind. Not as expressive but the tension is at breaking point. Lots of printer ink, scraped graphite and cold flints too. Palate: Thick vicous lava, same style but the concentrated to a knifepoint, blazing hot menthol greens and white flashes of exploding minerals. It’s the same Ardbeg as the OMC but turned up to OMG. (As lame as the Straits Times? Sorry.) The peat is black, brooding and immense, but even then the sharpness of the salt and lemon cuts right through with an impossible razor clarity. Magnificently sooty, dry grime, actually it does take a stiff turn now towards dry ink wells and carbon paper instead of ‘wet’ phenols. Rather excellent. Finish: Long, sooty. Carbon flecks Hot dry aluminium pans. Rock salt. Bone dry. 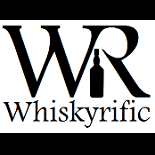 This entry was posted on September 23, 2018 by Whiskyrific in Ardbeg and tagged Ardbeg.